2. Gladius sword. The club provides combat-ready swords at discounted prices, fitted with a riveted leather baldric shoulder strap custom-fitted to suit your size. 3. 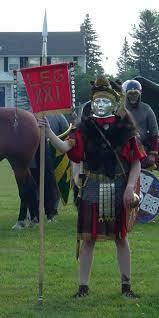 Roman helmet (with crest), and lorica segmentata armour or lorica hamata chainmail. Balteus, and pugio dagger. We will provide advice on purchase, club discounts, or help in making your own custom-fitted. A linen or leather subarmalis padding under the armour (and fascia ventralis cloth under the belt) is optional. 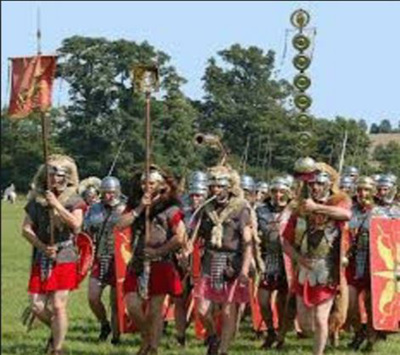 Please refer to the Roman Legionary checklist. Gear purchase - Please check with club members for advice before purchasing any gear, to ensure that it is suitable and at a reasonable price. Here are some examples of purchase prices from merchants. ​Caligae - kult of athena sizes 6-11 US$ 44.00. Postage expensive. 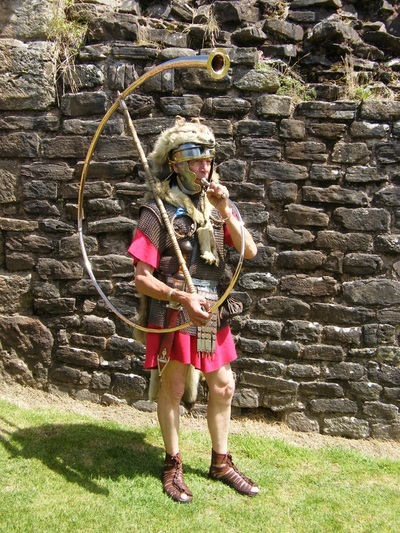 Cornicen (horn-blower) works with signifer to convey commands for the century. Signifer - carries the century-standard open-hand emblem and is in charge of the funeral fund. Aquilifer - carries the legion-standard Eagle (one per legion). Vexillifer - carries a vexillum depicting the legion name and emblem. Imaginifer - carries the standard bearing the emperor's image. First cohort only. Optio - second to Centurion. He is distinguished by feathers in his helmet, and carries an optio staff used to direct soldiers, or push them forward into battle from behind and ensure that nobody retreats. Centurion - commands a Century (80 soldiers). Fights at the front right of the legion where he can direct operations, and observe which soldiers should be rewarded for bravery. He is the toughest fighter always in the thick of the action and the real backbone of the army. 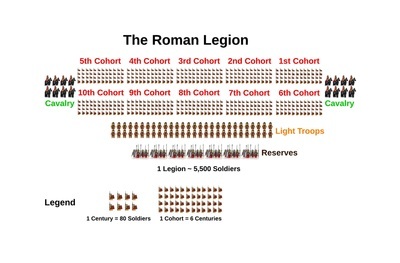 Julius Caesar famously said that he would rather lose ten military tribunes than one centurion. 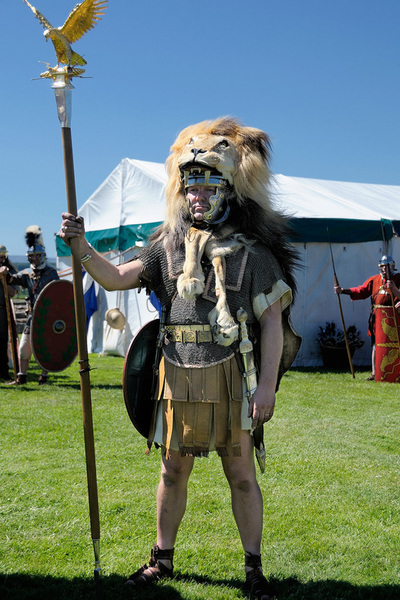 Tribune angusticlavus ("narrow-stripe" tunic) military tribune to oversee camp administration. The six tribunes were young men from leading Roman families, with no previous military experience and served for just a year before returning to Rome to commence their civil service careers. 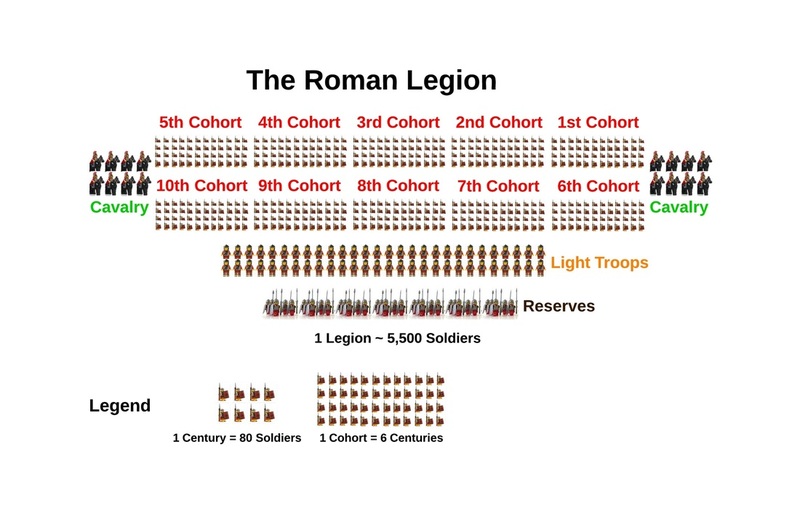 They took turns commanding the legion for two months each, and for the remaining ten months each tribune commanded two of the ten cohorts of the legion. 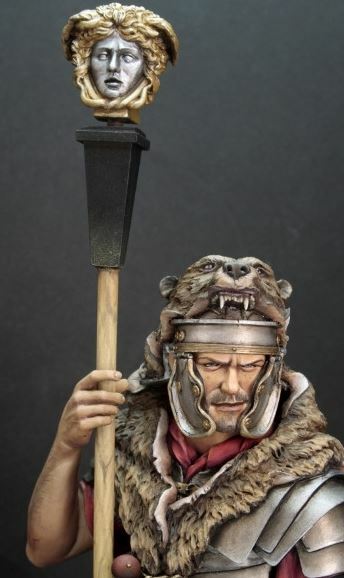 Some of the tribunes proved exceptionally able, and went on to become famous generals, but most were far from equipped to lead men in battle, and in practice the leadership of a legion fell to its centurions. Praefectus castrotum - Camp prefect in charge of the camp. Usually a retired First Spear centurion. 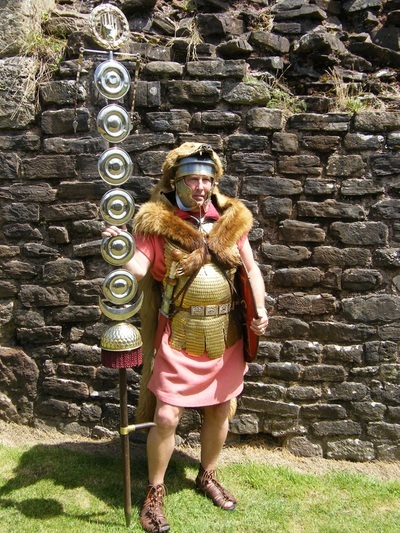 Tribune laticlavus ("broad-stripe" tunic) - second in command. Usually a young senator gaining experience. Legion legate - army commander, senator, and perhaps provincial governor. Appointed by the emperor for about 3 years.